Want to expand your child’s horizon but can’t afford to travel? 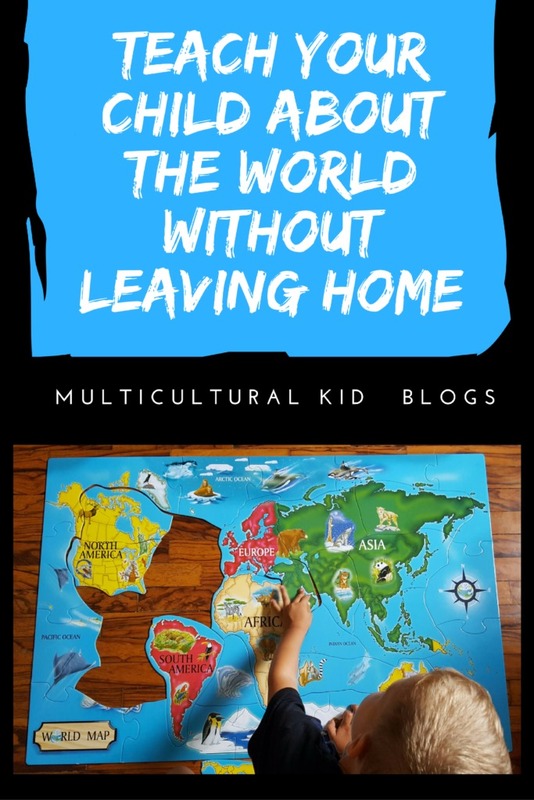 Here are 8 amazing ways for kids to learn about the world without leaving home! Before kids, my husband and I traveled frequently, exploring the different cultures of the world. It was as easy as choosing a destination, booking a ticket, packing our bags, and heading off. Now with two little ones in tow, it isn’t as easy as before. My husband is Italian and I am Australian. We actually met in Malta just over 8 years ago while both traveling with friends. Soon after, I moved to Italy where we are now raising our two bilingual children. Some families are lucky enough to be able to travel the world with their children, teaching them about different places and cultures. While this can be an amazing experience, and there is nothing like the real thing, it doesn’t mean it is the only way to go about it. Though we don’t travel as much as we used to anymore, we still make sure our children learn about the world in other ways. You too can raise your children as little global citizens without even leaving home with these simple ideas. 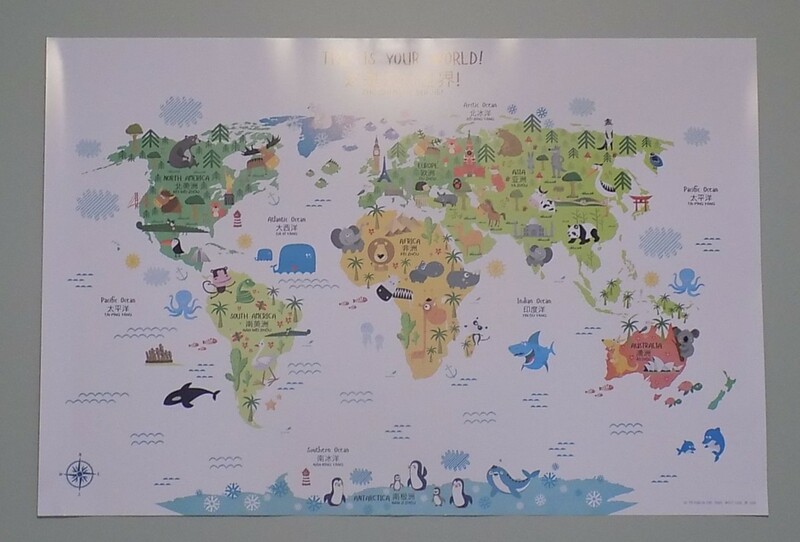 Travel around the world from home by having a world map stuck up on the wall, and when you teach your child about a new country have them colour it in or pin it. Puzzles are a great way to explore the world. 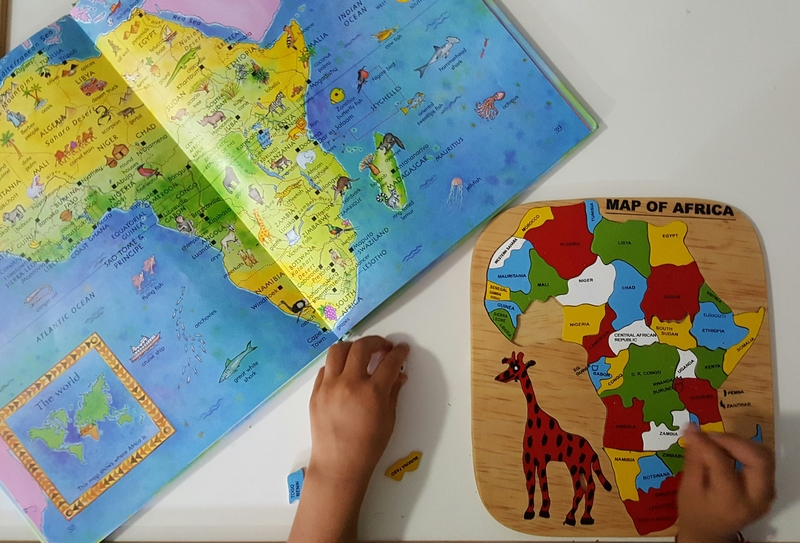 They give children the opportunity to learn not only the names of the countries and continents, but also the different oceans and seas, and little islands in between. We have a fantastic range of puzzles that teach our children about geography. 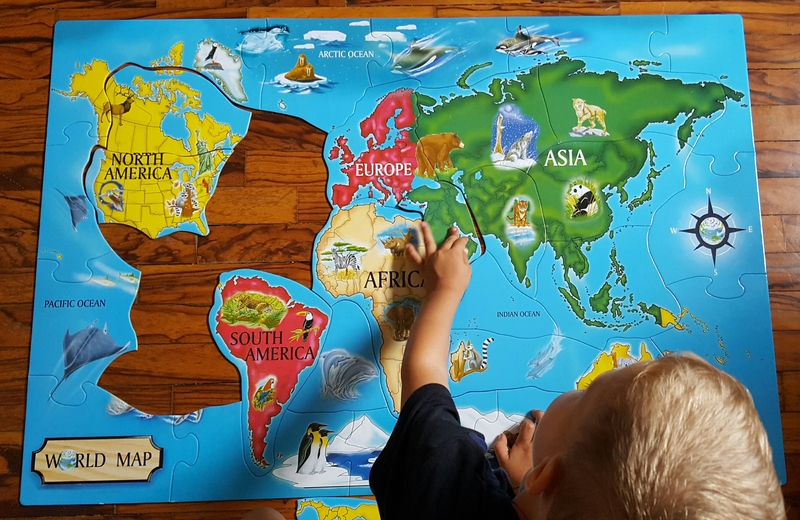 The easy favourite is our large world map floor puzzle with lots of pictures of the landmarks and animals found in each continent. We also have some individual continent and country puzzles where we are able to speak more in depth about each place. 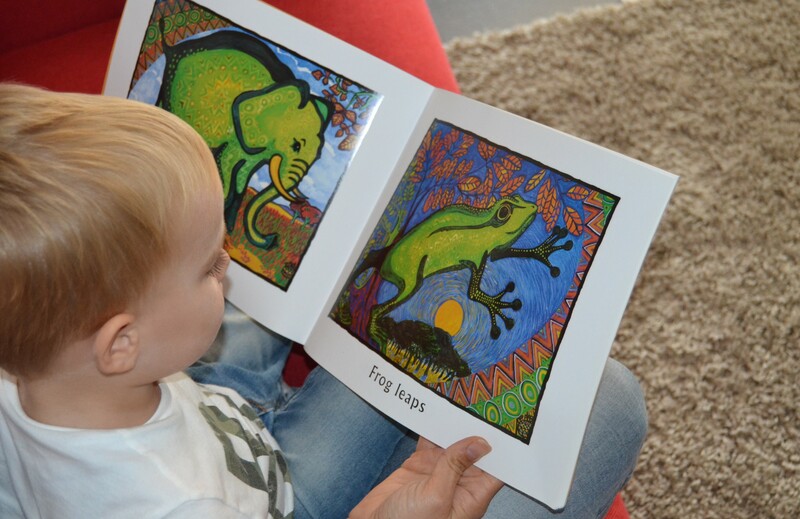 Teach your child about other nationalities and other cultures through multicultural books. 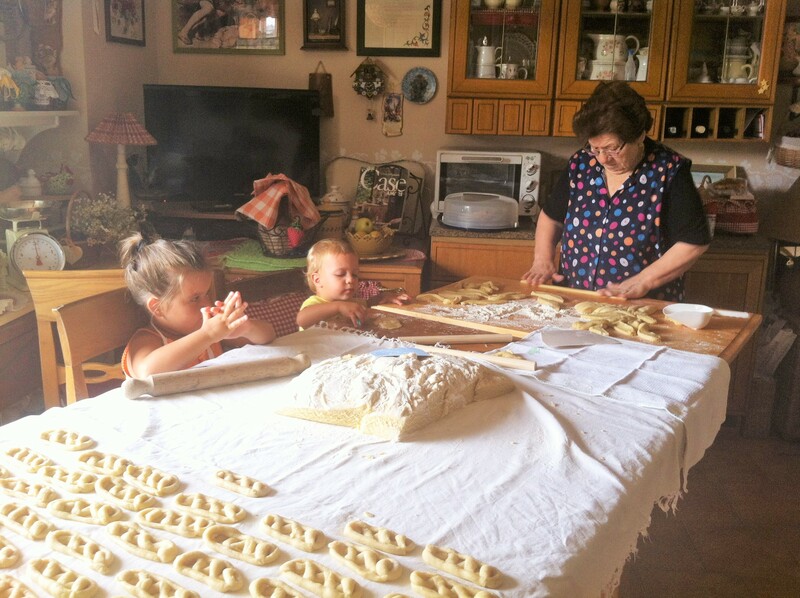 Every country has its own customs and traditions that you can both learn through reading stories. Explore your local library or look online. Check out the bilingual books available which are written in two languages. 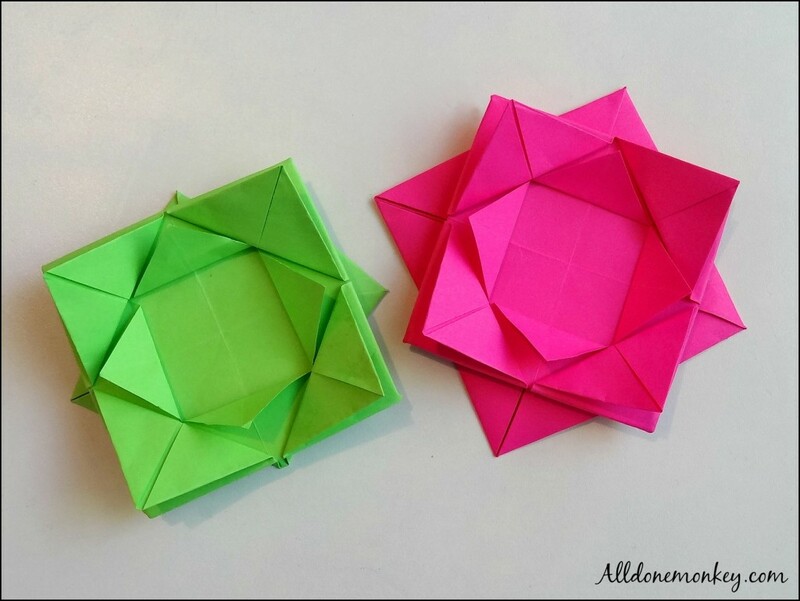 We are constantly looking for crafty ideas to teach our children about the world. 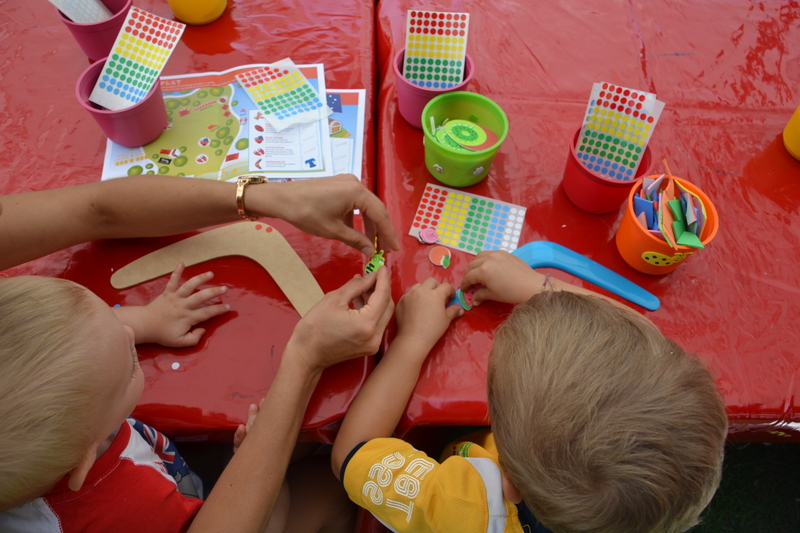 Whether it be making pretend passports, creating world flags, making origami, crafting jibaro hats, or teaching them about their place in the world, children love exploring new places through new and fun activities. Teach your children a new language! With the many benefits of raising bilingual children, many parents around the world are choosing to raise their children with multiple languages. You don’t need to speak another language to teach it to your child, there are many other options. Young children are naturals when it comes to learning languages and it doesn’t take them long to pick up a few words. Show them the countries of the world on a globe or in an Atlas and talk about which languages are spoken in each country. Learn a few of the basic words together and make it a fun family experience. Keep an international calendar filled with the big international holidays you would like to celebrate. For example Chinese New Year in China, The Epiphany in Italy, and St. Patrick’s Day in Ireland. Carnavale is celebrated in many parts of the world including Europe and South America. Celebrate these holidays by dressing up in the traditional clothing and participating in traditional activities. Have a theme night once a week where you choose an ethnic dish and cook it as a family. 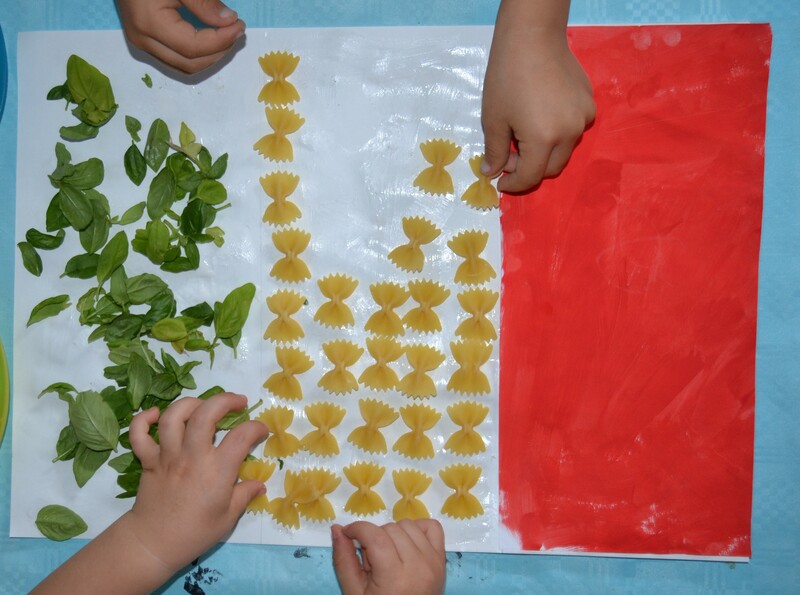 Giving your children a different taste of the different dishes served around the world. One week could be Indian, the next Chinese, Spanish, Italian or Japanese etc. Music is a fantastic learning tool for children. Every song tells a story, and by listening to music from around the world, your child can explore other cultures and learn songs in other languages. Most children are able to sing before they learn to speak sentences. My children were singing Spanish songs well before they learned the basic words of the language. There is something about a melody, that makes it easier for children to pick up words and put them together. What other ways do you teach your kids about the world without leaving home? Share with us! Love this article! So important to be creative with teaching our children about the world! These are such great ideas to learn about the world around us!